Our favourite Perennials and Annuals for the garden! Did you know people that garden on a regular basis live longer? It’s true! Gardening provides many health benefits such as getting enough vitamin D from the sun. It’s also very good exercise while enjoying the fresh air and it’s a great way to connect with nature! Not to mention being around plants and greenery is such a mood enhancer. Many researches prove that gardening is a great way to deal with stress and anxiety due to the reasons listed above. If you’ve never tried gardening, don’t be intimidated. We all have to start somewhere and it’s much more important to have fun with it! Gardening is one of the many activities we look forward to during warmer months. It’s a great way to add colour around the house! Here are a few favourite perennials and annual plants we enjoy for our own garden. First things first, it’s important to understand the difference between the two when planning your garden. Annual plants and flowers bloom for one season and they tend to bloom longer than perennials. These include flowers such as sunflowers, geraniums, dahlias, marigolds etc. Perennials are plants that come back every year or that stay green year round, depending on the plant. A few perennial plants are roses, daffodils, hosta, coralbells, black-eyed susan, peonies etc. Having a variety of perennials in the garden is essential to create a full looking garden year round. There are a wide selection of perennials to choose from, many that will bloom beautiful flowers to shrubs and evergreens that will stay green year round. Boxwoods: We love boxwoods, specifically the “green velvet” variety. They are one of our favourites due to their rich green colour and dense foliage. They also have a perfect round shape naturally and are very low maintenance. Boxwoods do well in the ground as well as in pots! Spruce: The spruce family offers a wide variety of choices and we enjoy them all. We especially love decorating them during Christmas time! Not to mention they stay green year round and are also easy to maintain! Pine: Similarly to the spruce family, Pine trees offer a wide diversity to choose from. They also add a very Christmassy look during winter months and stay green year round. We really enjoy the pine dwarf variety because they are shorter and adorable! The pine family are tolerant to drought which makes them easy to take care of during summer. Roses: Roses are such a popular flower around the globe, providing 100’s of varieties and colours. Roses are very easy to grow and once the shrub is mature, you can enjoy making your own rose bouquets straight from the garden! Hydrangea: These stunning flowers are another popular variety that bring a lot of blooms each year! Hydrangeas can also be cut to create a beautiful bouquet. A few other perennials that bring beautiful colours to the garden are peonies, purple cone flowers also known as echinaceas, lilies, daisies, yarrow etc. The garden is so much more enjoyable when having a comfortable place to sit, unwind and breath in the beautiful scent of your blooming garden. 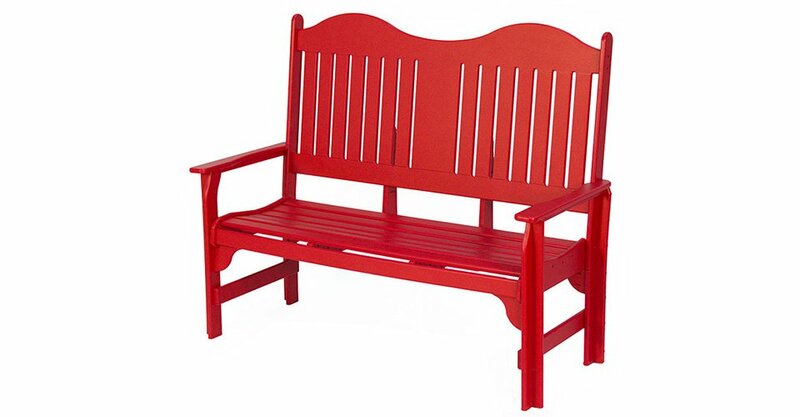 This versatile bench is sturdy and maintenance free! We also provide a variety of colours to choose from, take a look at the pictures above. Unwind in your blooming garden with a great book and a refreshing drink, creating the ultimate reading nook for the summer. Pair the bench with cozy pillows and enjoy the summer breeze. This bench can easily sit two adults and is very comfortable! This furniture piece is ideal for the homes, cottages, parks, businesses and golf courses! The dimensions are 53” wide x 44” high x 23” deep and weighs 72lb. We also used materials that will ensure the bench will last for many years! 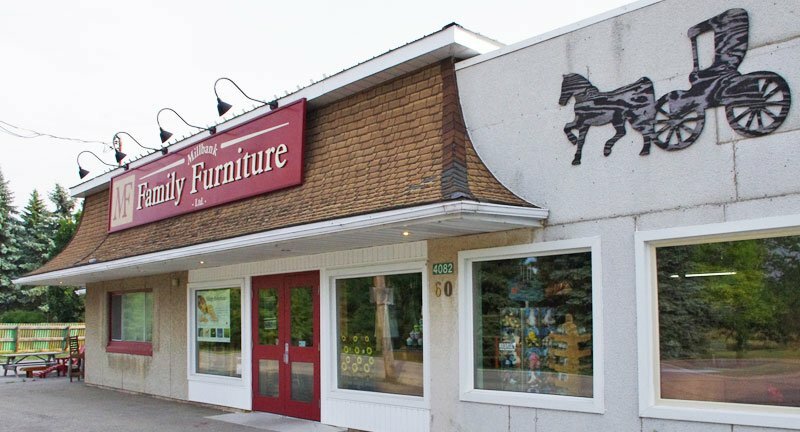 Contact us today for more information about our outdoor furniture, we would love to help and answer any questions! Every spring, we look forward to our yearly trip to the greenhouse! Due to annuals lasting for only one season, we love experimenting with new flowers each year. Typically, an annual plant will bloom until the end of summer to early fall, this will depend where you live, sun exposure and soil. Here are a few of the annual plants we really enjoy. Celosia: These bright and vibrant flowers make such a statement in the garden. They have a very unique shape to them and look great alongside different blooms. Celosia grows quite fast and are very easy to take care of, which is always a plus! Geraniums: A favourite, geraniums are not only colourful, they are also extremely easy to maintain. They will keep producing blooms if you deadhead them regularly. We’ve seen them bloom until late October in some parts of Canada! Geraniums also come in many different bright colours. Cosmos: We love these adorable little flowers that grow quite tall! They have such a delicate look to them and they are a great filler in the garden. We love using different shapes and sizes in order to make the garden look full! Marigolds: One of the best deals when buying annuals, marigolds grow fast and provide many many blooms during summer months. Expect one marigold plant to provide over 15 blooms! When we find an area in the garden that could use some colour, marigolds are our go to flower! They look beautiful alongside all the greenery in the garden! Annual hanging baskets: Hanging baskets are another great way to add more colour to the house. They are usually packed with vibrant flowers or you could make your own basket! Our top picks for our baskets are a mix of lantanas, geraniums, verbena, million bells and bacopas! What are some of your favourite annual and perennial plants? Connect with us on our Facebook page here and share with us your garden ideas!